What can make children or family photographs more cheerful than adding bright and colorful bubbles on the background or aside? Making colorful bubbles are beautiful and fun memories of our childhood. Therefore, retouchers often use free Photoshop bubble overlays to the postcards or drawings, not to mention the photographs. Do your photos need something funny? Do you want a photo with bubbles without using them, avoiding mess and fuzzy bubbles? Here you will find realistic free Photoshop bubble overlays for your portrait shots. You can easily install them to Adobe Photoshop of any version. Now you don't need to draw each one separately. With a slight movement of your hand, you can make a big mosaic of bubbles, as if you blow them in reality. Our free bubble overlays for Photoshop are perfect to help you make your photos more creative and funny. 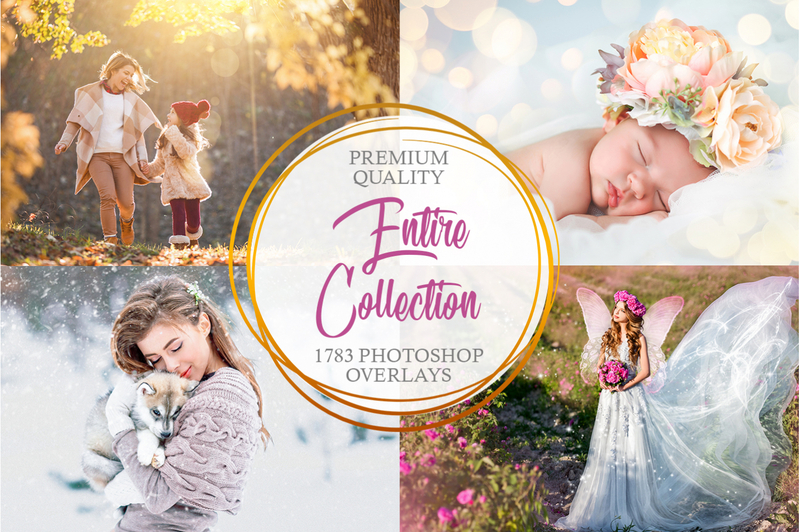 We offer 10 various bubble overlays, which you can apply to your wedding, portrait, children, birthday, and animal shots in just a few simple clicks. You can check before and after results, scrolling photos to the left, and choosing the effect and size of bubbles you need. PS Overlay #6 "Water Bubbles"
Capturing perfect shot with bubbles can be hard. These colorful bubbles turn to be blurred or almost invisible. We make it simple to get the desired number of bubbles in the desired place, so you can reach your special vision without failing the image! Stop losing your time for unsuccessful shots. Just focus on the main object of your photo and attach the bubbles, using our free bubble Photoshop overlays! We offer you over 10 bubble overlays Photoshop free, so your variants are unending! Using our overlays, you can choose different sizes and quantity, including blurry for creating a good depth of field. This package allows you to create a single bubble or a grouping of bubbles, helping you to make the perfect look for your images. Few clicks and done! Try to choose a soft monochrome background to apply this bubble overlay Photoshop free. Remember, bubbles potential is more than just looking nicely! Thanks to their symbolism, you can endow your photos with deeper meaning. This overlay #1 was taken from "Soap Bubbles"
Medium sized bubbles, located at the top of the picture, making the picture a sparkling blazing in combination with a playful daylight. Bubble Overlay Photoshop #2 "Fairytale"
Use a blending mode for making the bubbles fit in with the environment of your photos. This overlay #2 was taken from "Soap Bubbles"
Various size bubbles, but not very large, located at the center of the picture. 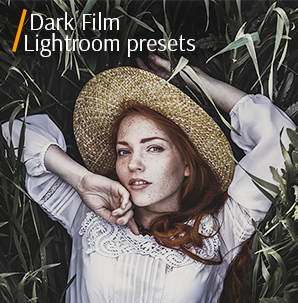 This overlay helps to add a playful atmosphere to your photos. This free Photoshop bubble overlay set fits for a couple photo session because this is an excellent opportunity to record the development of relations, to convey emotions and feelings of two people, to share a piece of their happiness with others. Free Bubbles Overlay #3 "Miracles"
Adjust a background and foreground color before using a brush, for giving the bubbles certain colors without applying a blending mode. This overlay #3 was taken from "Soap Bubbles"
A small number of large bubbles, located at the angles making a frame. This bubble overlay free Photoshop adds pretty look to your photos, making them memorable. Perfectly fits for a family photo session, because this is one of the most vibrant and sensual genres for using these props. Bubbles Photoshop Overlay #4 "Rainbow"
Besides joy and carelessness, bubbles also symbolize significant topics of life, using this overlay, you can add a new meaning to your photos. Used for street and studio photographs. This overlay #4 was taken from "Soap Bubbles"
A small number of bubbles, located at the right upper corner of the image. This free bubble overlay Photoshop pack emphasizes your photo, making the bubbles more natural and easy to apply. Fits for indoor & outdoor photos well. Highly recommended to use for the images with children who jump over a puddle, a woman portraits in the park, and a couple who feeds animals. Bubbles Overlay Free #5 "Soap"
You need basic skills in Adobe Photoshop photo retouching and working with the layers. Suits well for children and toddler images with/without animals. This overlay #5 was taken from "Soap Bubbles"
Large, solid bubbles that cover almost the whole photo. Vivid and realistic, they shimmer with all the colors of the rainbow. 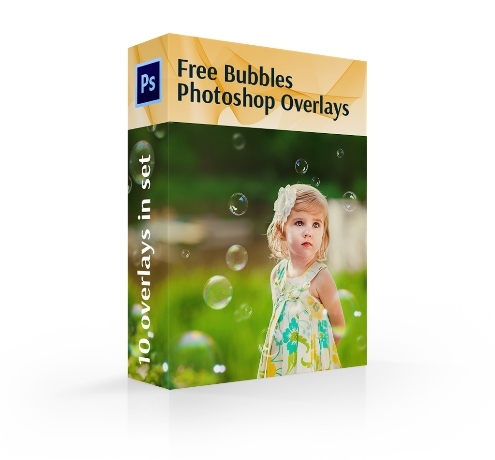 This free bubble Photoshop overlay greatly fits for photos of children and newborns. Bubble Overlay Ps Free #6 "Water Bubbles"
Use the drag and drop function, adapting them with a few clicks. 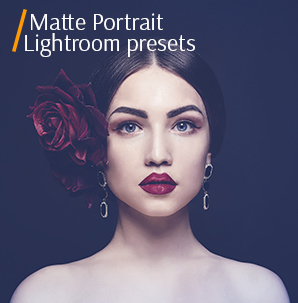 Highly recommended for female portrait photographs. This overlay #6 was taken from "Soap Bubbles"
Various sizes bubbles, but not very large, located at the left half of the photo. 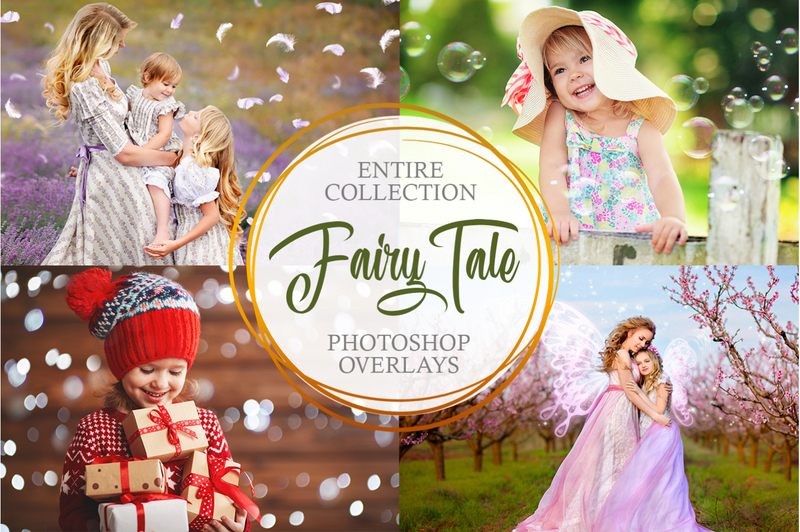 This bubble overlay Photoshop free set is cute enough to enhance your photos and make them fairy. Fits for portraits, because they convey not only emotions, a character, appearance of the model, but also expresses the plot of the photography. In their turn, the bubbles make the photo romantic. Free Photoshop Bubble Overlay #7 "Blue"
You can erase overlay's part, which covers the object, faces, etc. Recommended for wedding portraits, family group images or decorations pictures. This overlay #7 was taken from "Soap Bubbles"
Few colored bubbles of various sizes. Located at the right angle of the image. Fits well for wedding photos causing nostalgia and warm emotions. 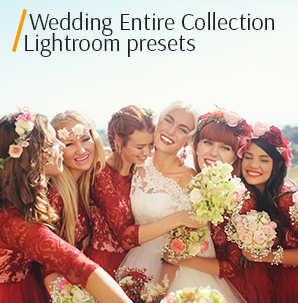 This bubble overlay Photoshop free set offers dreamy and matte look to your bridal images. Bubbles Overlay Ps Free #8 "Pure-White"
You can mix & match the bubbles, changing colors, tints of the overlay with hue/saturation tool. Use them for your images with dogs and cats. Many non-large bubbles, chaotically located throughout the photo. This free bubble overlay for Photoshop fits for pet photography. If your pet doesn’t give you a chance to use real bubbles while shooting, this Photoshop trick is the best decision for you. All effects will differently suit each genre of photography. It depends on the features of the original photo. This overlay #9 was taken from "Soap Bubbles"
On the background the bubbles are unfocused. On the foreground the bubbles cover the entire photo with a golden hue. Fits for creating photo books, collages, invitations, cards etc., because this is a modern way to decorate your favorite photos. Photoshop Bubble Overlay #10 "Water"
Correct blend modes and opacity as you need. Frequently used by portrait photographers to make children photo dreamy and funny. This overlay #10 was taken from "Soap Bubbles"
Medium sized bubbles, located at the left upper side of the photograph. This bubble overlay for Photoshop free set fits well for Cake Smash shoots, outdoor photoshoots, toddler and children photography.